There is a strong demand for rental properties in Oxford. Not only do people travel from far and wide to study or to be employed by the two universities, but the large number of University spinouts – especially in medical research - attract young professionals to live and work in the city. 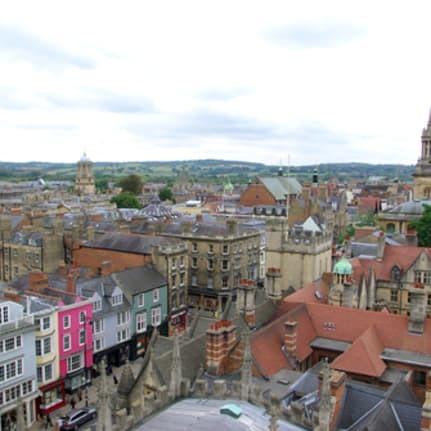 In fact, there is an estimated 15,000 rented properties across Oxford and even more in the surrounding area. A high number of these rentals are through private landlords - 28% of households rent in the private sector, compared to the national average of 17%. This number has risen considerably in recent years, with figures being 50% higher than they were a decade ago. To rent a property privately, you must declare your rental income to HM Revenue and Customs (HMRC). However, recent figures suggest that 1 in 3 landlords are not doing so. HMRC are looking to put this right with the introduction of their ‘Let Property Campaign’. The Let Property Campaign allows landlords to voluntarily disclose and pay any outstanding tax on their rental income. To take part in the scheme, you must first notify HMRC that you want to take part before disclosing all tax that you have not previously mentioned. You must then make a formal offer of how much you owe before paying that figure. If you offer full cooperation to HMRC, you could see a number of benefits from the Let Property Campaign. The first of these benefits is that you don’t have to disclose the amount of tax by a specific date. That being said, there is a risk of higher penalties if you are subject to any enquiry and have not yet notified HMRC about your intentions to disclose. In cooperating with HMRC throughout this campaign, you can also gain the best possible terms available for paying your tax. Similarly, the levels of tax are likely to be lower than if HMRC becomes aware that you have not paid the correct amount of tax. Although the process of taking part in the campaign is relatively simple and formulaic, the process of calculating what you owe could be more complicated, and in some cases, it may be best to seek professional advice. The time limit for the calculating process is 90 days from the point of notifying HMRC, at which point you must disclose information. Before you can calculate the level of tax owed, you must work out the total rental income that you have not previously disclosed to HMRC. You must then deduct any allowable expenses – this is the expenditure required on the day-to-day running of the property, including; gas, electric and council tax. Once you have determined your taxable profit, you will be able to work out the amount of tax you need to pay on the income. This number will depend on how much income you earn above the personal allowance. At Shaw Gibbs, our Property Team is on hand to offer landlords – as well as property developers, contractors and agents - a full range of tax and investment guidance. To feel the benefit of the Let Property Campaign, our Personal Tax experts can offer support in completing the relevant tax calculations for HMRC, as well as filing tax returns. For those members of the property industry who are assessing their long term options, we can offer VAT, Capital Gains and Inheritance Tax planning advice. If you are a member of the property industry and are interested in the Let Property Campaign or need wider assistance on any property matters then please contact Sarah Gardener on 01865 292286 or via email.